…when it all comes together! From the inspiration, the initial design, the selection of fabrics and the final presentation – I equate it to a well choreographed dance, much like a ballet – or even better, the Tango. Keep reading… you will find out why I am introducing this blog post with the analogy of dancing! I mentioned this little fellow in yesterday’s post. He was one of the main characters in a 12 month frog calendar from a few years ago. I was pursuing an updated design for one of the components in my Introduction to Design workshops. Several of these exercises are also part of my “Twisting Nature” or “Twisting the Landscape” workshops. …and here is a paper mock-up of the quilt I visualized after exploring various possibilities with individual units. That is where it came to a screeching halt earlier this spring due to my teaching schedule. I am happy to share with you: Last week, with a solid block of free time available to me, I pulled out the paper quilt and revisited numerous options. I coordinated some hand-dyed fabric, a fresh bolt of EZ Steam, scissors, iron, and marking pencils to forge ahead. 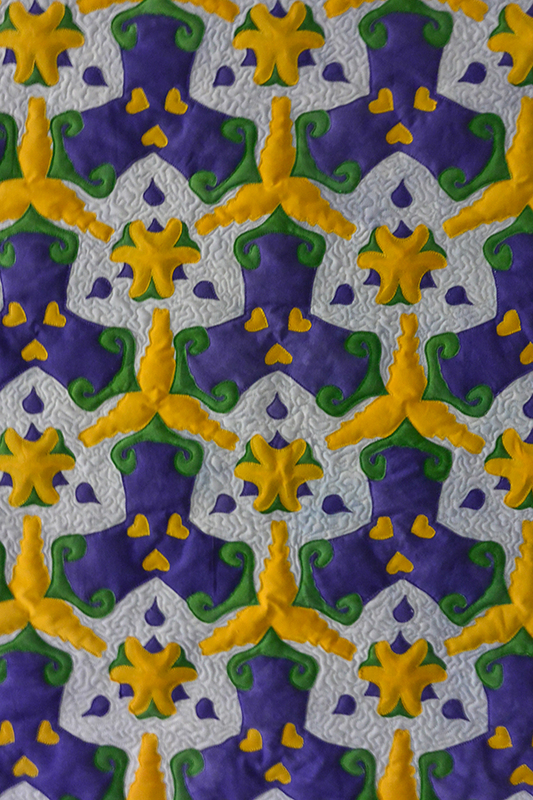 …and a more detailed close up of the applique and quilting. “Frog Leg Tango” measures 32 1/2″ h x 29″ w. It is a brand-new sample for my upcoming workshops in Calgary and Montana. 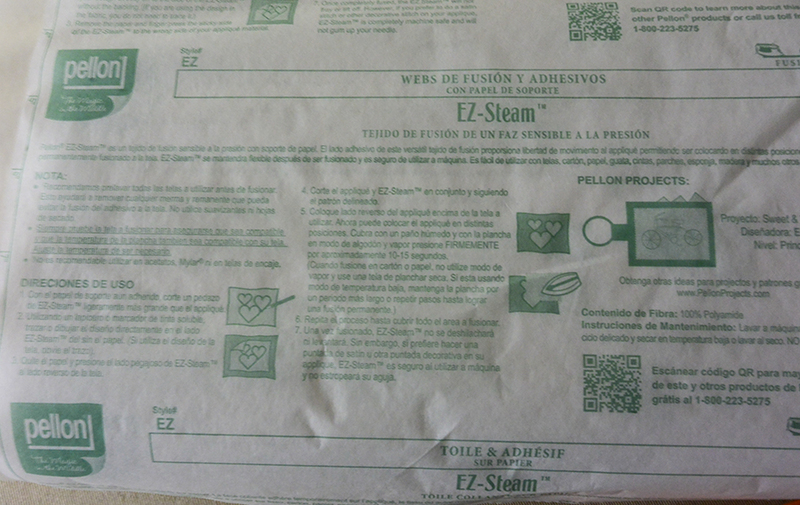 While working on the project above I decided to test a new-to-me product, Pellon’s EZ Steam fusible. Early this summer bought a full bolt of the product, and after one of my students recently experienced quite a bit of frustration with this fusible I made it a priority to explore its pros and cons. Here are my observations: EZ Steam is a paper-backed fusible, my favorite kind of fusible. Upon closer inspection I found that the glue is distributed much like the lightweight Wonder Under version by the same manufacturer. This was promising, as I am a huge fan of Wonder Under already. I used my iron with the cotton setting and fused a small piece of the EZ Steam to fabric and became skeptical. Once I peeled the paper back the fusible had bonded well with the fabric but it looked shiny and much like plastic and felt a little stiff. The fabric side was unaffected, so I moved on. Let me confess here: I did not read the instructions provided with the product. When I read them after my testing I was glad I did it my way… it worked very well. Here is how I proceeded with great success. I traced/transferred the individual shapes (in as many individual units as I could determine) to the paper backing. Next I fused the fabric to the glue side of the Pellon Product. I used the cotton setting and pressed (without steam) for approximately 10 – 15 seconds. The glue adhered well. This was followed by nearly two days of cutting the individual shapes. The paper provided stability to the fabric and continued to “stick” to the glue side which was helpful when I assembled multicolored units to press them together before placing them on the background fabric for the quilt. I removed the paper backing from each shape before placing it on the background fabric. The sticky nature of the EZ Steam Fusible kept the units in place while I added the more complex multi-layered shapes. I used a Teflon pressing sheet to avoid glue contamination of the iron, however, I quickly realized that the glue does not travel or move out from the paper backing, a big plus! A-Seam in the past and once the piece was fused to the background fabric it was there forever! EZ Steam wins hands down! 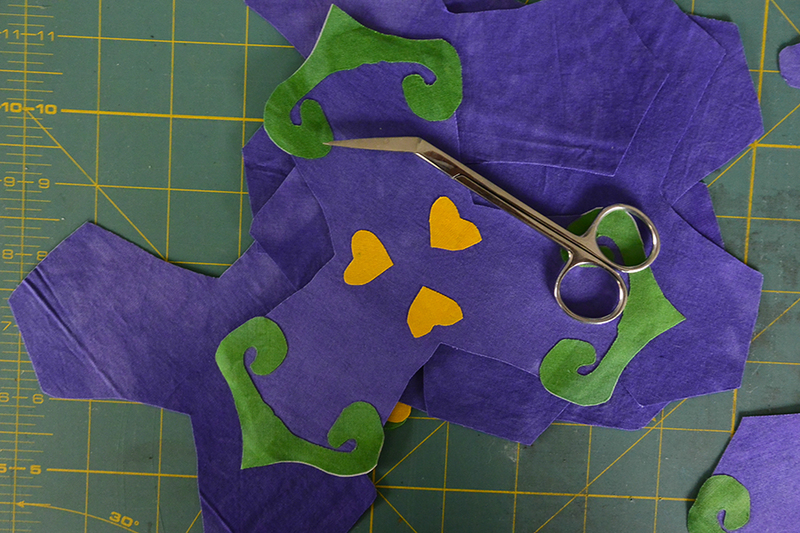 When stitching over the appliqued shapes it is important to be aware that the machine and needle will labor slightly. I started out with a Superior Top Stitch # 100 but didn’t like the large holes that accompanied the stitches. I took a chance and switched to a #80, and I found that the holes were smaller. In addition the machine worked more quietly and with less effort. Stays in place when assembling the applique units before pressing. Repeated repositioning of pieces does not affect the stickiness negatively. Pressing is straight forward – and the glue does not mess up the iron if you forget to use the pressing sheet. Fusible is smooth and does not shadow through with a perforated appearance like other products. Fusible does not extend fully to one side of the paper backing and may throw off calculations if user is unaware of this fact. Fabric appears a little stiff when handling, especially when several pieces are overlapping. When top stitching/quilting use a smaller needle (I used Superior Topstitch #80) to avoid large holes in the applique units. Please note: I purchased EZ Steam without solicitation by the manufacturer. This review was generated without encouragement by the Pellon company. I hope you found this review helpful. 31 Aug	This entry was published on August 31, 2014 at 8:34 am. It’s filed under Art, Creativity Update, Design, In the News, Journaling, Product review, Sharing Resources and tagged Art Quilting, EZ Steam from Pellon - new to me product, Fiber Arts, Frog Leg Tango - new quilt sample, Introduction to Desgin, Twisting Nature, Twisting the Landscape, using EZ Steam with my new quilt sample. Bookmark the permalink. Follow any comments here with the RSS feed for this post. Newer: August CDAs – Intense with Inktense Pencils on Fabric! Anna, silly outpost itch each individual element? Anna, it was supposed to read, did you top stitch each element before quilting? I top stitch and quilt each element at the same time – avoids unnecessary distortion! I found this method works for me ad I use it nearly exclusively. Hope this helps. Anna, what a bright cheerful piece. I can see how your week flew given the detail and complexity of the design. Thanks for taking the time to test and review the product so carefully. I will give it a try. Thanks for your feedback, Elinor! The piece is cheerful, isn’t it? After catching up on much needed sleep I like it even better and I just know it will provide a great visual aid when teaching. – You are welcome for the review. I will add a link to my tutorial page. Thanks for the post Anna, I will try this product again…. If it worked for you I’m sure it will for me. You are welcome, Donna! 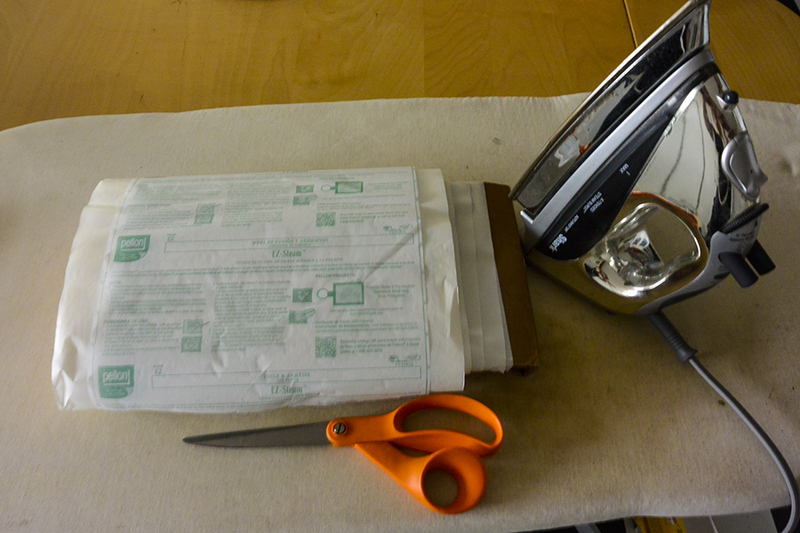 I was worried when you had so much trouble in class – I had just purchased a whole bolt of the fusible and had to figure out a way to make it work!